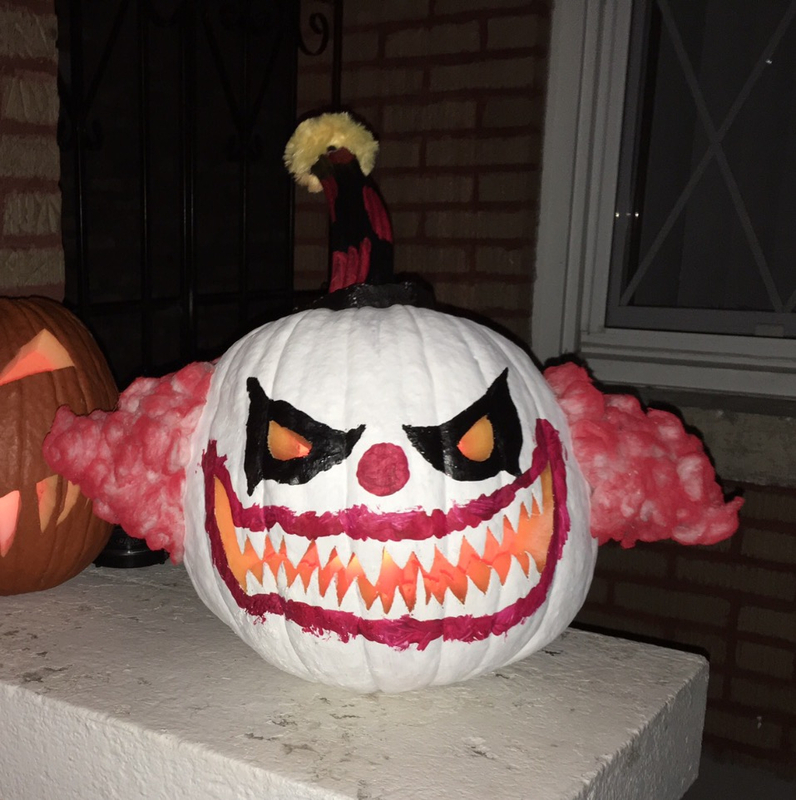 This evil clown wins the award for the most colorful pumpkin this year! It can come collect it at the award ceremony that's happening in my nightmares tonight, because I know I'm going to see this guy there. Yikes.